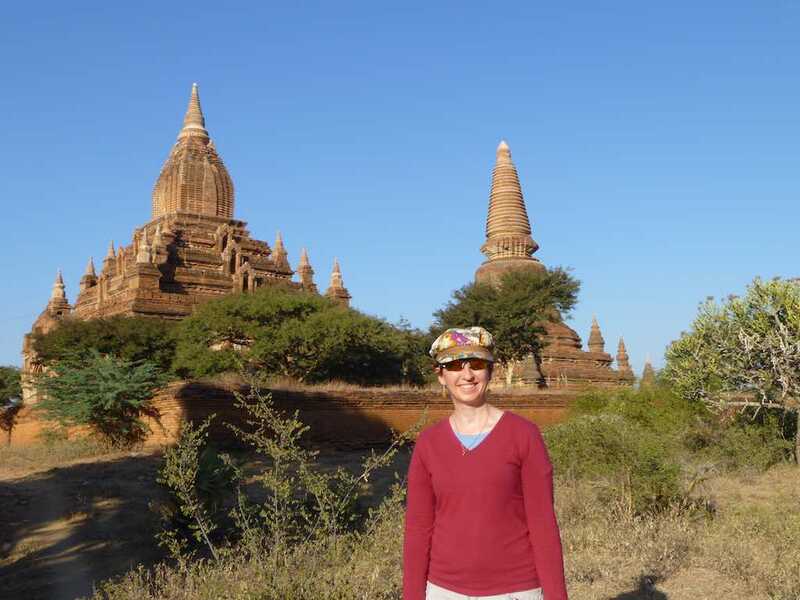 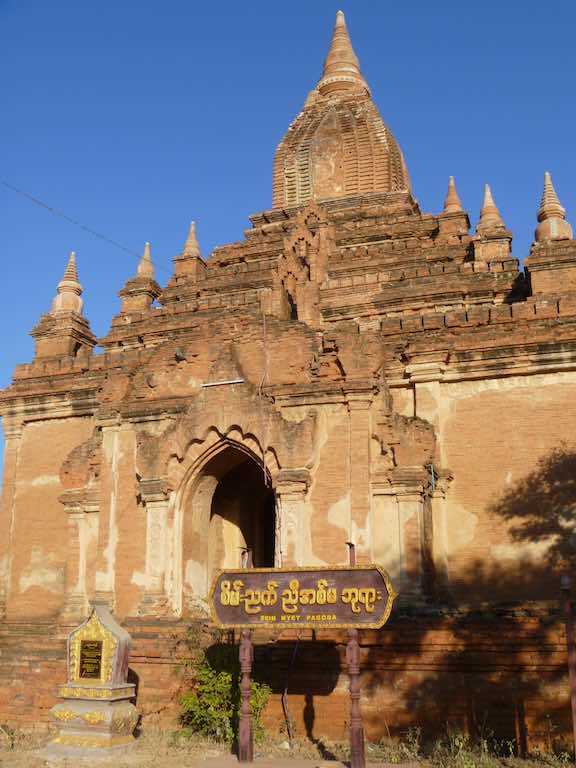 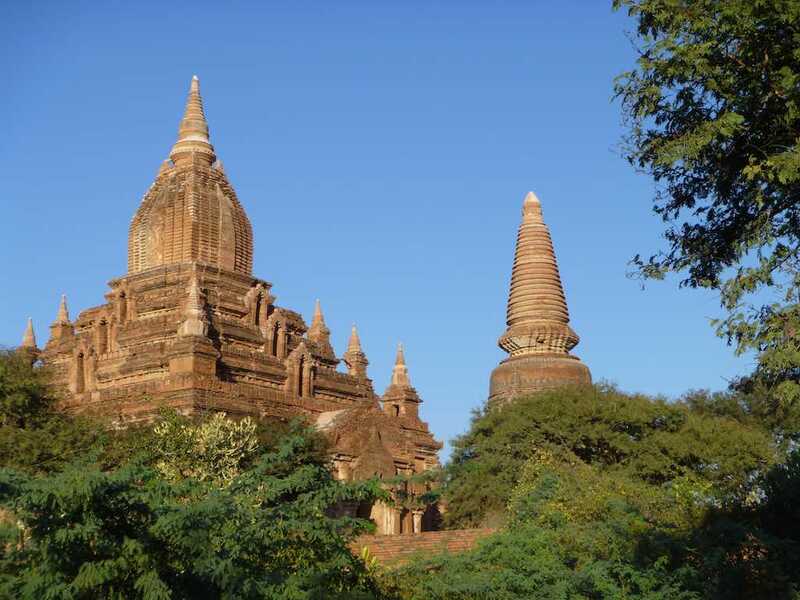 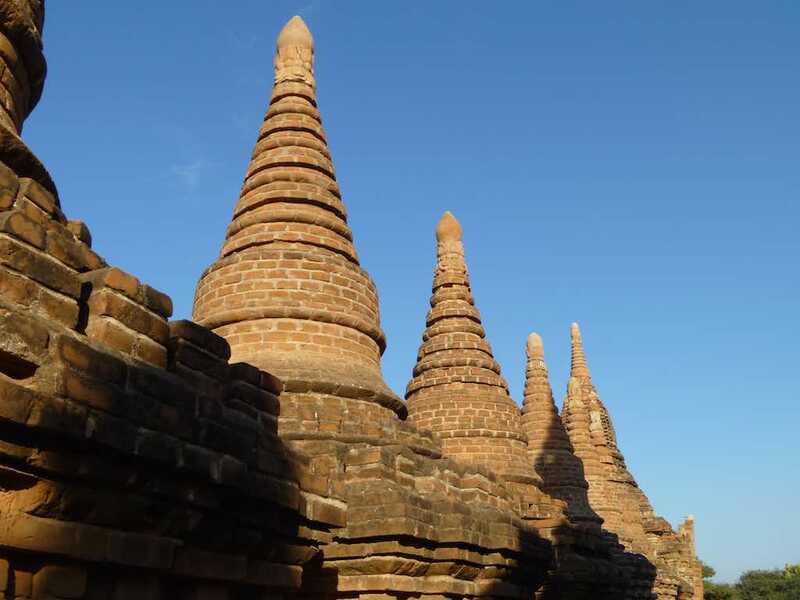 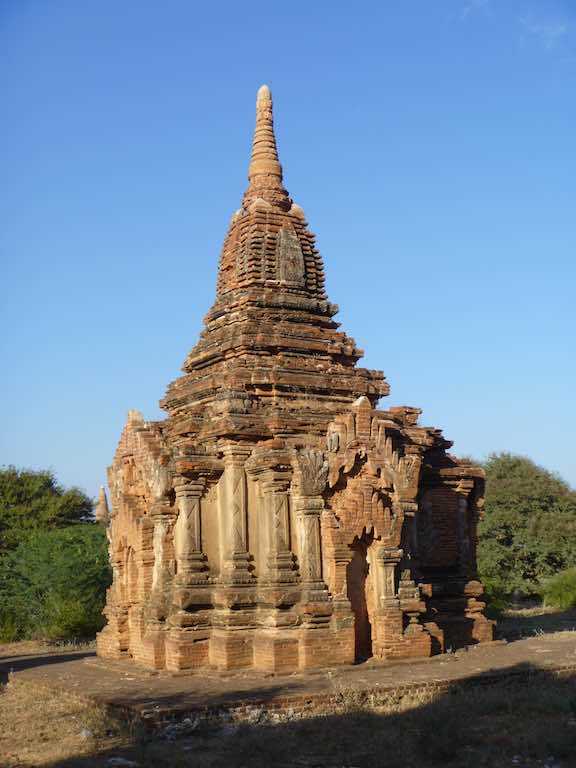 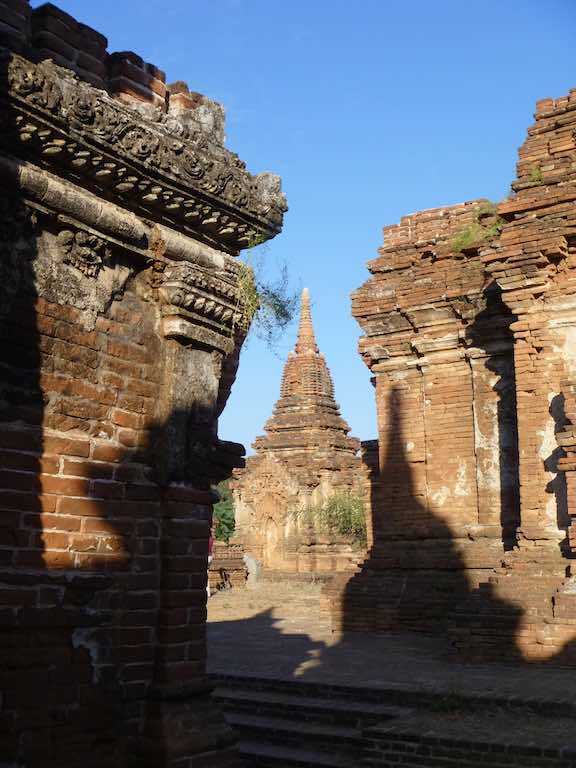 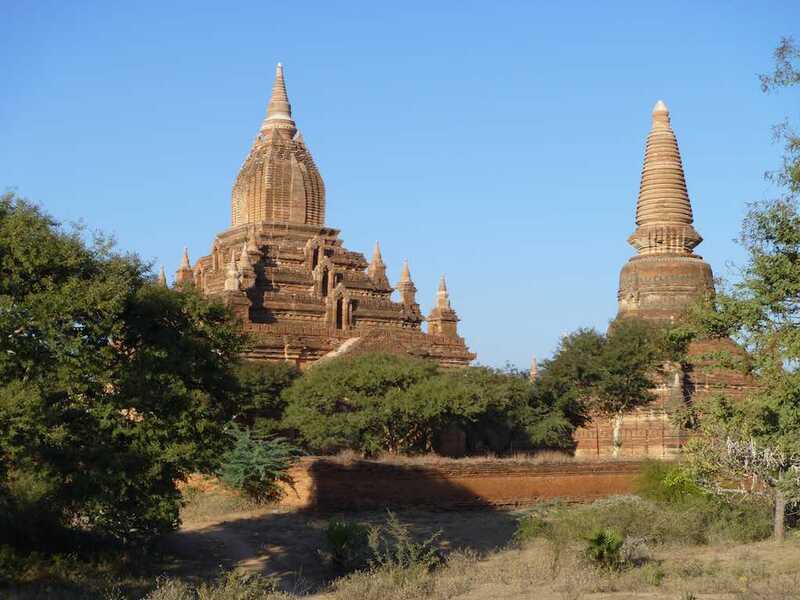 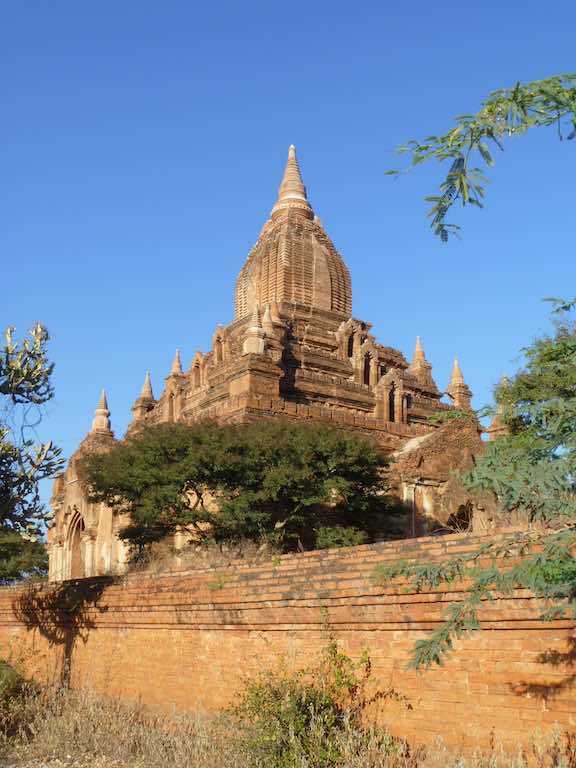 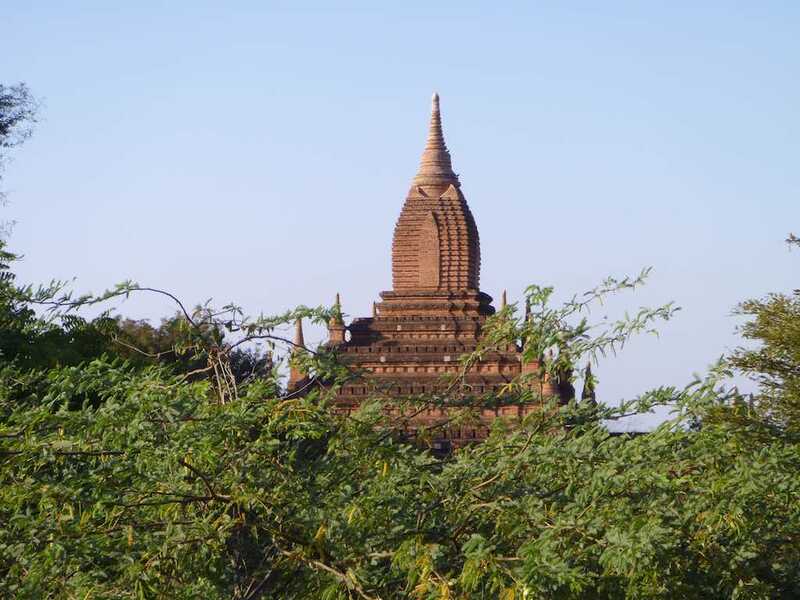 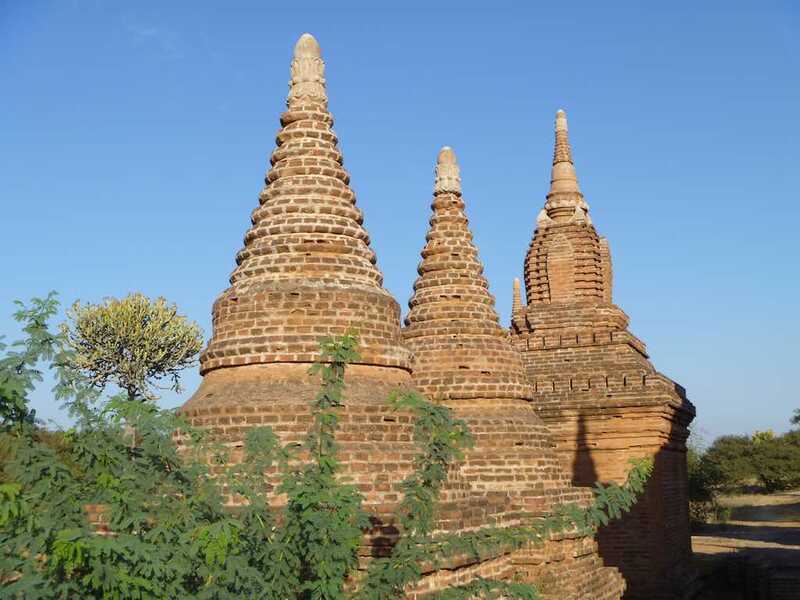 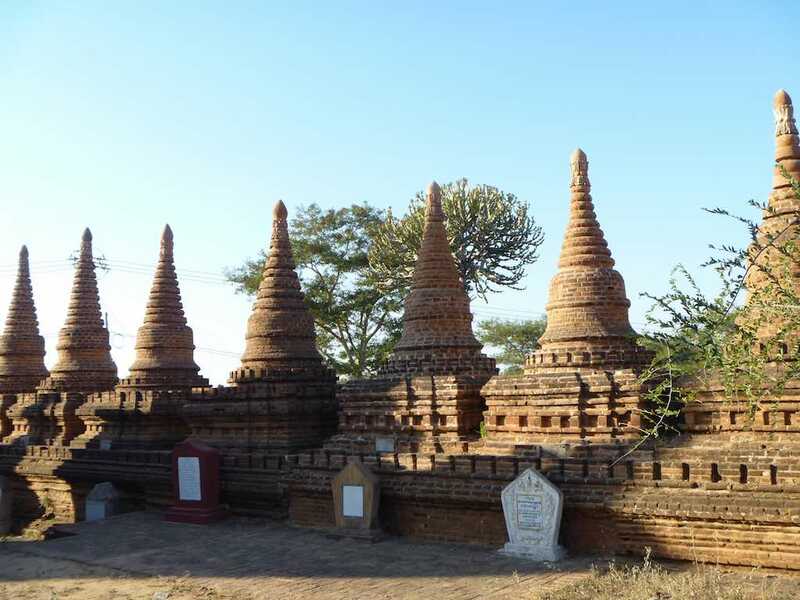 These smaller stupas in Bagan, I found particularly charming after visiting the larger temples of Shwezigon Pagoda, Htilominlo Temple and Ananda Temple. 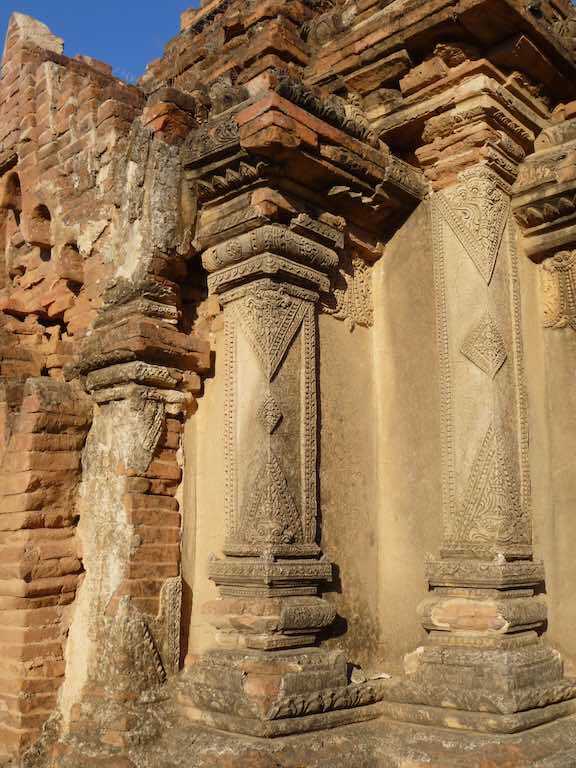 While they were beautiful, there was something special about the smaller ones. 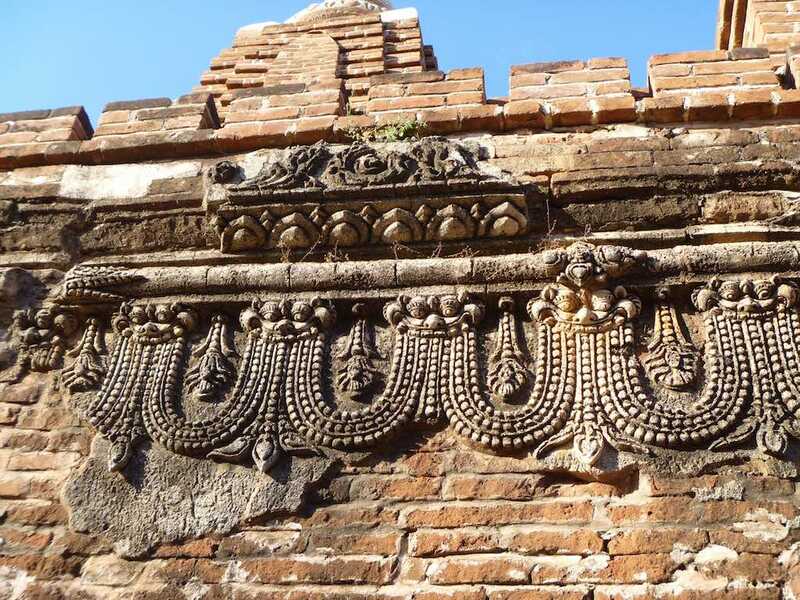 Particularly since we were the only ones around and most tourists would never see these. 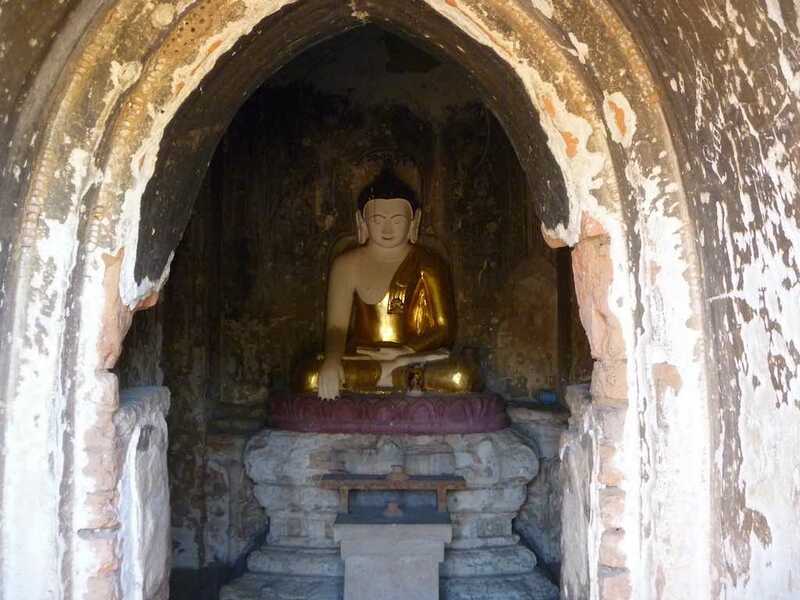 There was no path way around or between them, no entry fee, no guards. 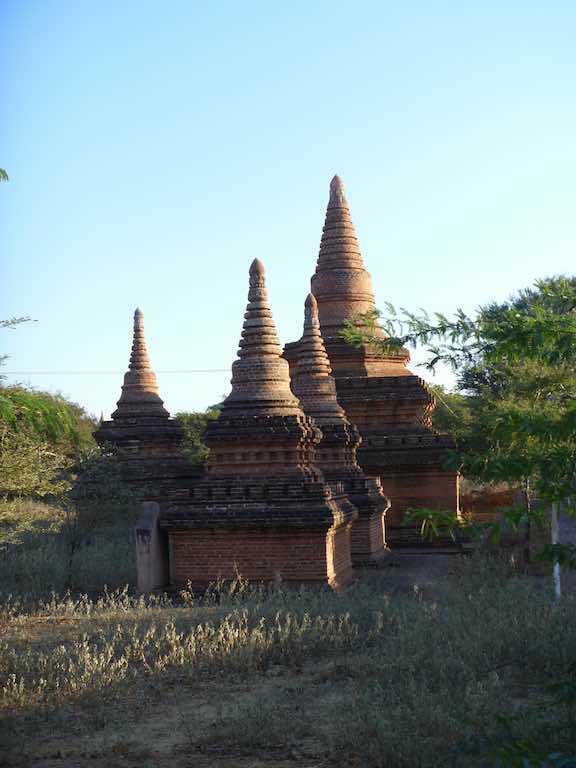 Nothing except dry grassy terrain and dusty soil. 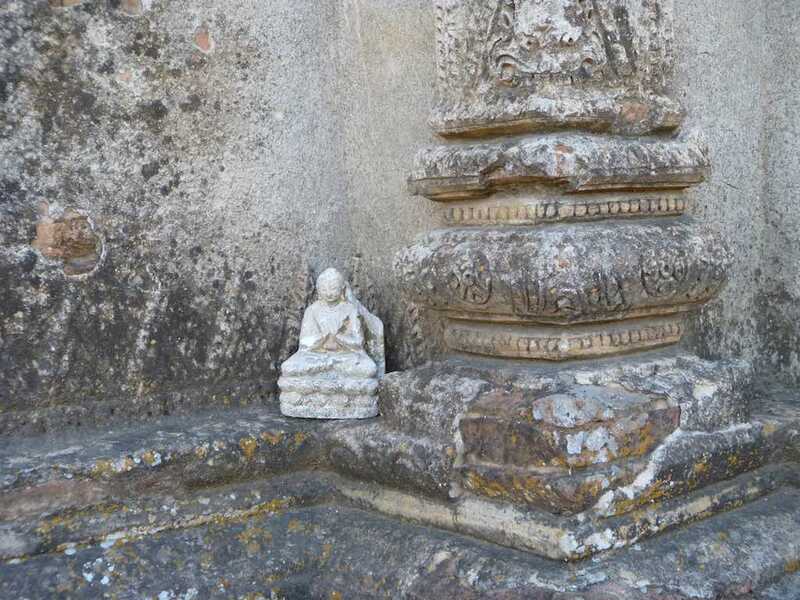 We were particularly surprised to see the small pale Buddha figure sitting on the ledge. 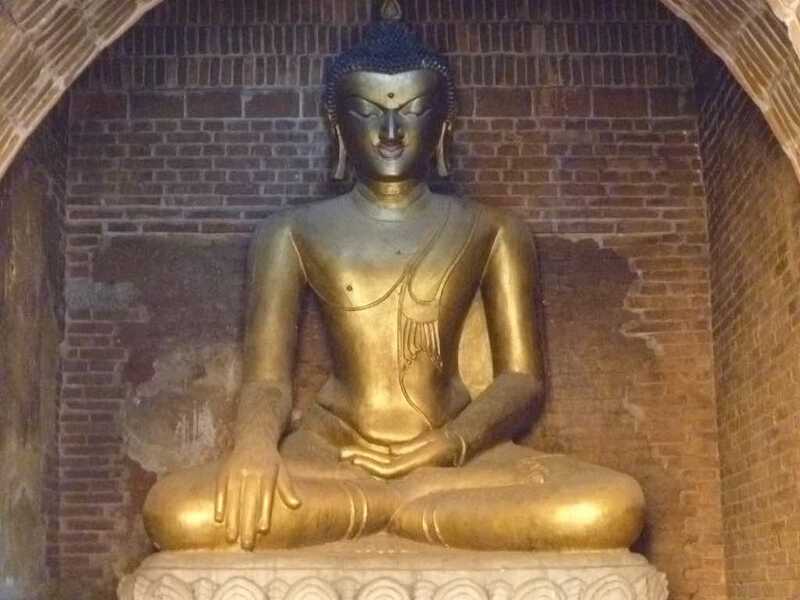 There was nothing stopping someone picking up this presumably ancient statue and putting it in their bag. 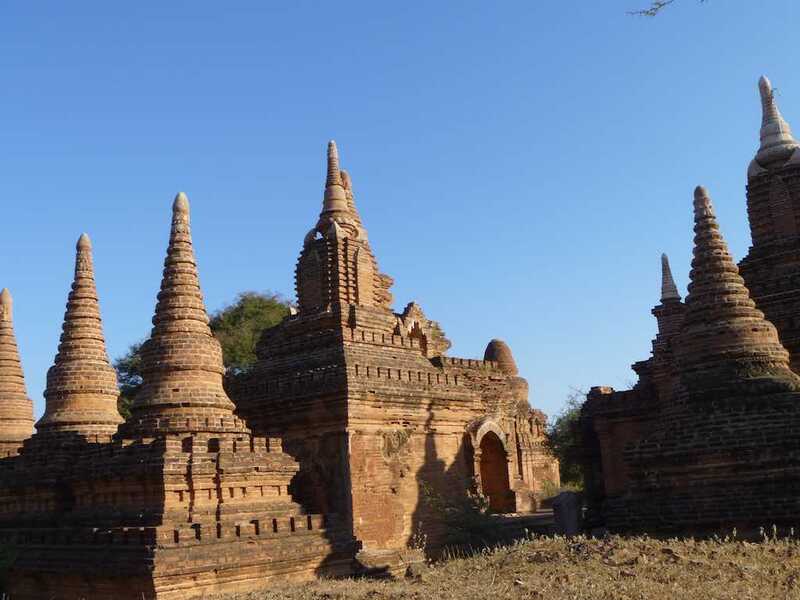 I can only have faith that future visitors are as honest as those who have visited in the past. 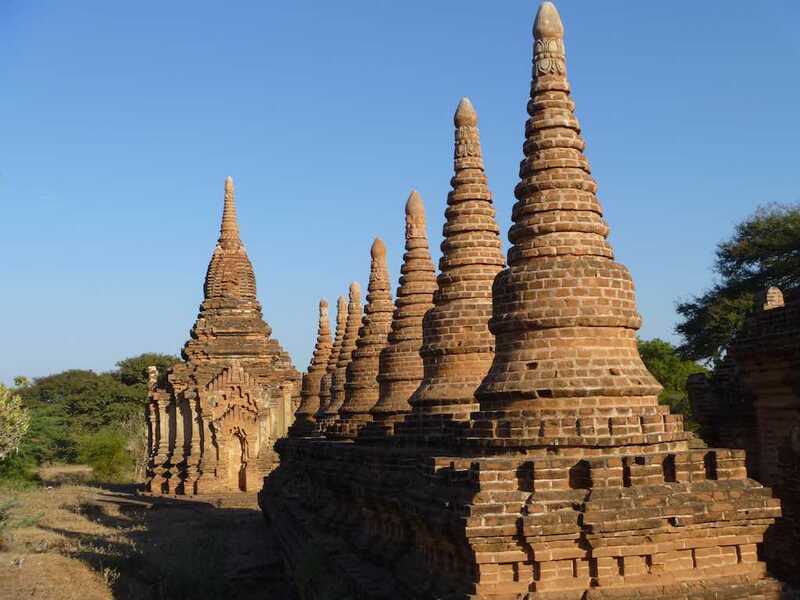 A fantastic country to visit.